Purchase of expensive cleansers which contain very harsh chemicals is not always the only choice, you can clean or refresh your carpet with natural resources also. Many cleaning products what we buy contain hydroxyacetic (glycolic) acid, 2-butoxyethyl, alcohol, bleach, which should not come into contact with the skin. In this article, we will present you natural carpet cleaners and we encourage you to try them next time. They are cheaper and most important, they are 100% natural and harmless. Baking soda is a mild but effective abrasive. It is used for polishing and whitening. It’s great for removing odors also. With it you can clean the house at the best price. – 10 drops of essential oil of cedar and 10 drops of essential oil of lime. Insert all ingredients in a plastic bag and leave them to stand for one day. Before using the prepared mixture, vacuum the carpet good and then sprinkle mixture over the entire surface, spray the carpet with clean water and rub good with brush mat. Let it stand for at least one hour, then vacuum the carpet again. Insert all the ingredients in bowl and mix well. Use brush and rub over the stain. Be sure to cover all surface with stains. Since the mixture is all with natural ingredients, it won’t be foam, so carpet is not necessary to rinse, just after drying, vacuumed it well. Also, some fresh stains can be cleaned with water and vinegar. Just put them in the spray bottle, shake well and spray on the stain, wait for ten minutes, then rub with a cloth or brush and vacuum . Mix well all ingredients in a glass bowl then pour into spray bottle and then add water. 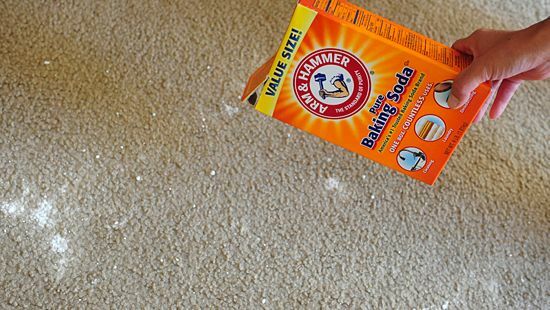 Shake well and spray the entire surface of the carpet. Leave it for about half an hour, then vacuum the carpet.